Hi Everyone - how did your Christmas go? We hope it was full of figgy pudding, fun and laughter and great times with family and friends, but didn't it go quickly? Anyway let's get on with the treat for today and that's our fifth Friday post where we show you some tags we have made just for the fun of it, no restraints, no challenge theme, no DI bag contents, just pure unadulterated inspirational art. 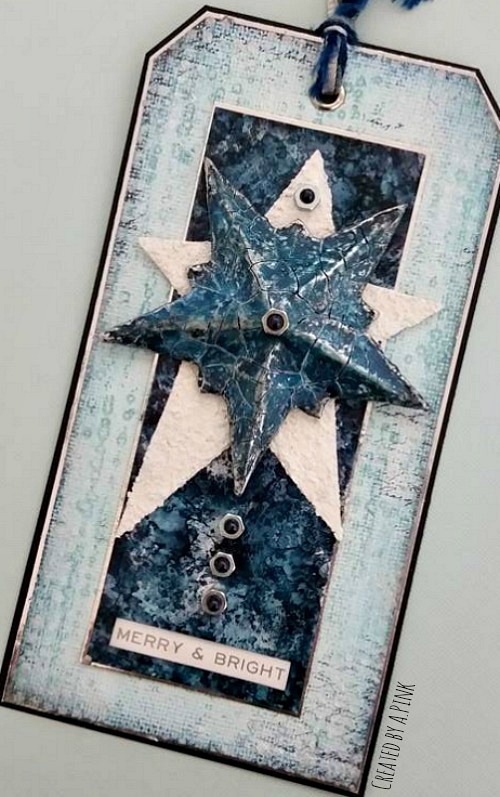 I opted for a tag accordion for our tag friday post, giving me a little more space to play around with the Evolution stamp set from Tim Holtz. I have not made a masculine piece for a while and I used this opportunity to indulge myself. Pop by my BLOG for more details. I've been being playful for this Tag Friday, inspired by a fabulous SkillShare class from Anna-Karin Evaldsson of Layers of Ink. Instead of one tag, I have many, so do come and visit Words and Pictures to see the full set and discover some more of the details. 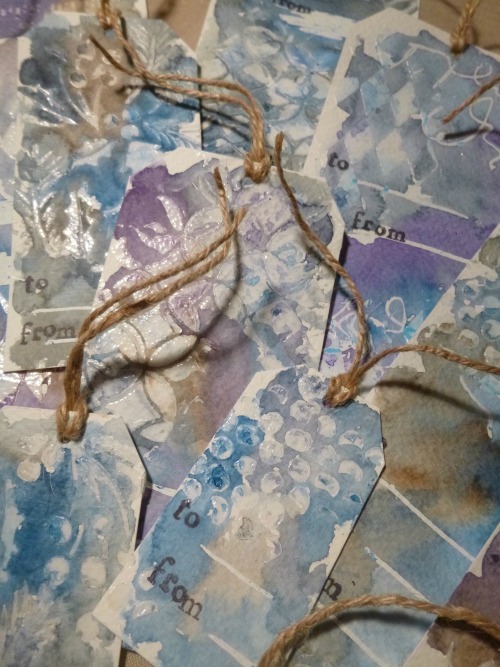 Whilst attempting to tidy my Craft Room I found some bits and pieces that I wanted to use to make a tag. It was lovely doing something just for fun and that was not related to Christmas. If you would like to see more you can visit my blog HERE. What better way than to finish the year with a tag using all your favourite bits and pieces! In actual fact they were all pieces lying around the desk from previous projects in line with my resolution at the start of the year to use all my leftovers (both in the craft room and the kitchen). I must have done well as my "bits" box is a lot less full than it used to be (and we've had an awful lot of soup during the year!). Do join me over on my blog if you would like to see some more details. For my Tag Friday tag, I decided to dive into my ever expanding pile of leftover bits and bobs from projects I've created over the last year (and to be honest, I'm sure there are more than a few bits from previous years too!). It's amazing what can be created when your throw all of those lefovers into one pot, think I shall have to make a New Year's resolution to do it more often. 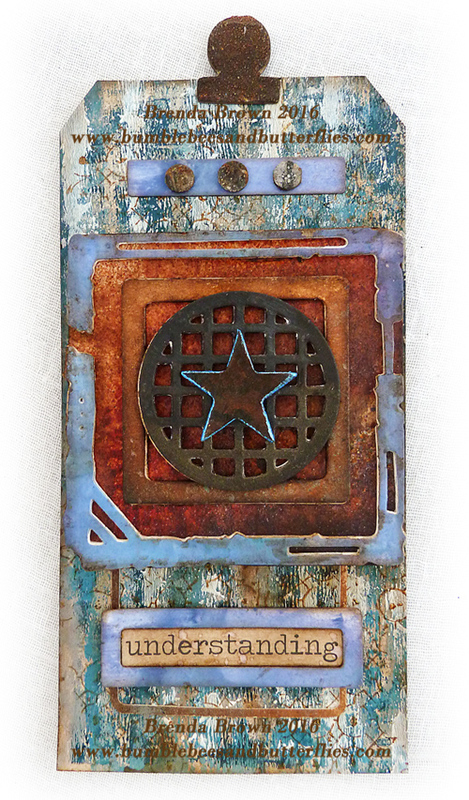 I've a few step out photos on my blog of my 'tovers tag, hope you can stop by for a peek. Happy New Year to one and all! The thing I love about Tag Friday is that, there is no theme, we can make anything we want. For my tag I made a reminder to myself to make more time for ART in 2017. 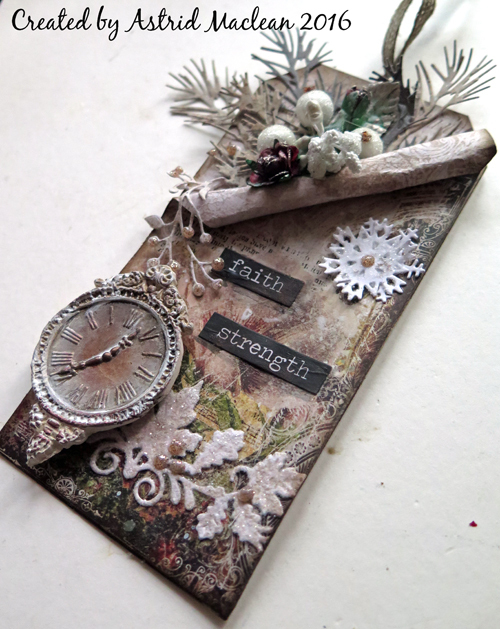 I simply reached for all the embellishments, images and colors that I love and put them all together on one large tag. Happy New Year and make time for ART! Having bought some new Seth Apter dies I thought I would have a play in his style using left over backgrounds from other projects or experiments. 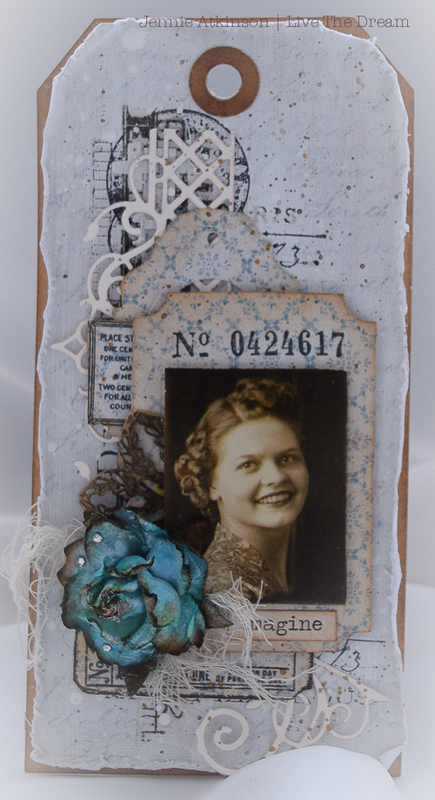 It was lovely to get into grungy, timeworn mode again after all the fun of the Christmas cards and build layers and dimension. More details can be found at Bumblebees and Butterflies if you have to to pop over. Well thank you to all the Creative Guides who have joined in and created a tag for you today, as always I marvel at the incredible range of styles and ideas that come through and the most wonderful designs on display. So it's time to be self indulgent and to take a little you time to see how these were all made and put together and it looks like many of us have been using up our leftovers and not just Christmas ones. Before you go I would like to wish you all a very happy, healthy and peaceful new year. May you have new hope, new aspirations, new passion, new dreams, new enthusiasm, new confidence and new understanding as the year unfolds. May we guard, protect and keep the world from harm so that everyone can live their lives without the fear of violence, abuse and harm and let us be perceptive, receptive and responsive to the needs of individuals and ourselves. Have a wonderful new year weekend and may 2017 bring you everything that you wish for yourself. Huge hugs from us all at A Vintage Journey, we look forward to sharing more of our projects with you over the next 12 months and hope that you will come and share your talents with us and our challenges. These are fabulous! I would like to say thank you for a wonderful year full of inspiration. I look forward to seeing what you all create in 2017. Wishing you all a Happy New Year! Brilliant ladies ! Well done ! Happy New Year to all of you ! 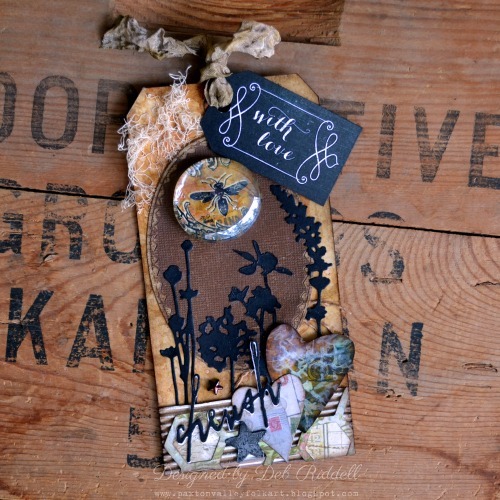 A post full of inspiration - it's been a joy hopping around to see these tags in close-up. And wonderful words from you, Brenda, at the end. Profound and important thoughts, thank you. Wishing everybody a peaceful 2017. 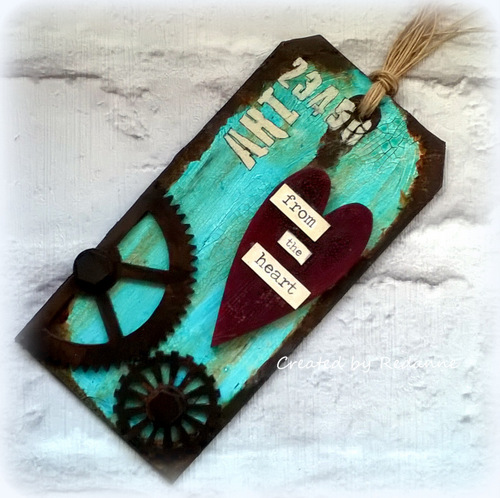 A fantastic gallery of tags offering a range of inspiration Everyone! Looking forward to visiting you all over the coming days. Happy New Year to all the team and to all our followers. Wonderful tags - every one is special in its own way! Thank you so much for sharing all this beautiful art and Happy 2017 to everyone! Love all of these. They are all so unique, with so many details to see.